Cinnamon Toast Breakfast Quinoa ~ My childhood bowl of Cinnamon Toast Crunch is all grown up (and healthy!) 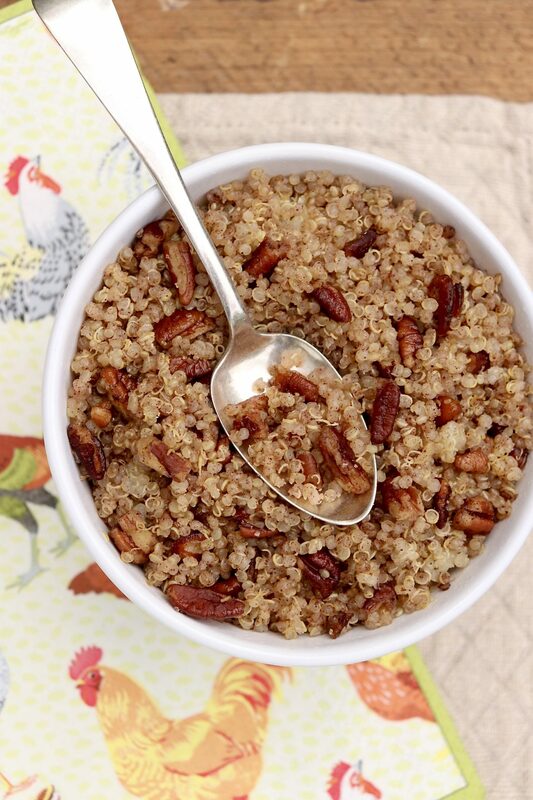 thanks to this crunchy, hearty, perfectly sweet quinoa. 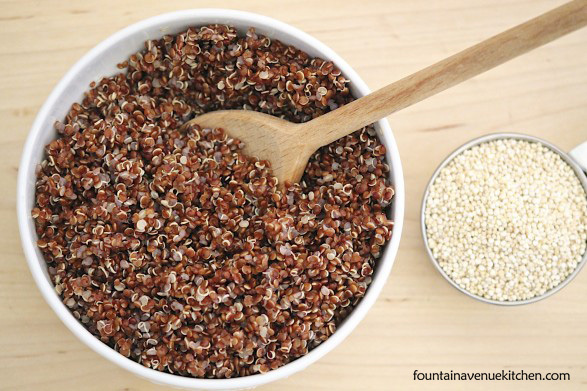 So many of us are trying to incorporate more healthy grains into our diets. It’s easy to do it occasionally, but if we’re not wowed by the options, it’s hard to make them a regular part of our diets. It’s crunchy, nutty, sweet, and oh-so satisfying. Occasionally I add some chopped banana or dates, but more often that not I keep it simple and enjoy the basic recipe as pictured. By the way, if you find the frequently recommended cooking ratio of 1 part quinoa to 2 parts water leads to somewhat mushy grains, you may like my preferred method for Perfectly Cooked Quinoa every time. 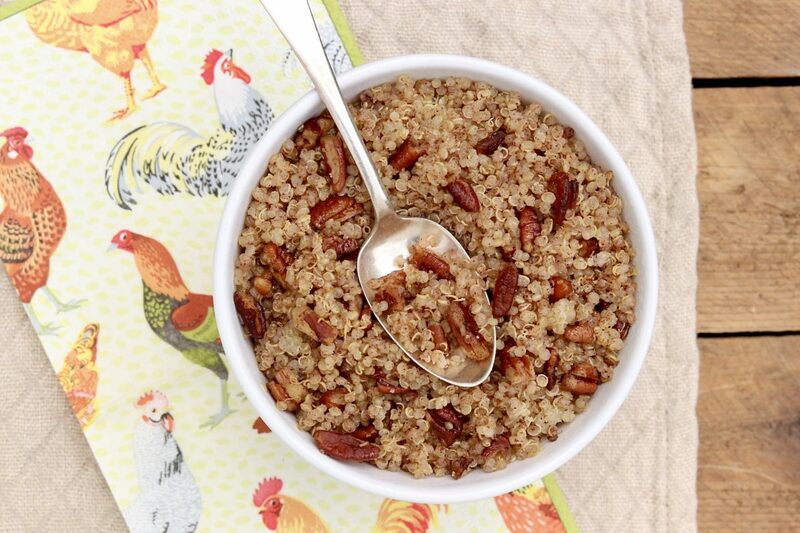 If you’re looking for a way to eat this powerhouse grain on a regular basic, this bowlful of deliciousness might just be your answer! 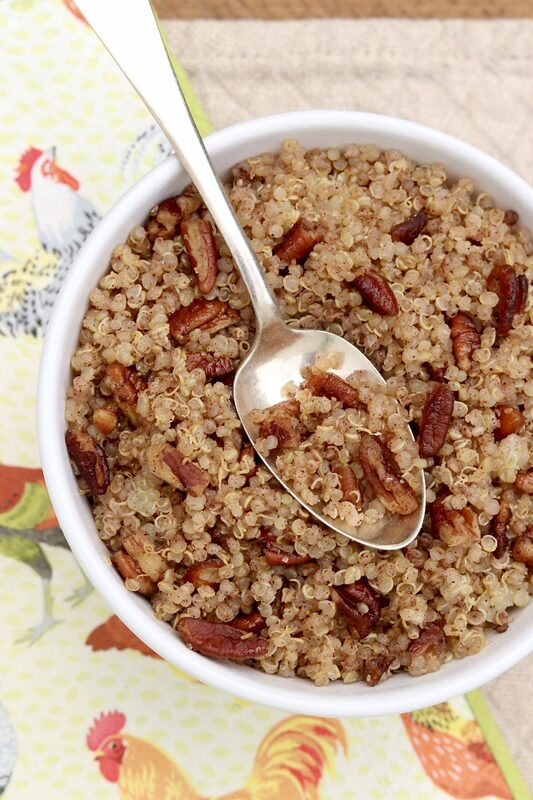 Who thought quinoa for breakfast could taste like cinnamon toast! As written, the recipe yields 1 serving, but I like to make a big pot of quinoa early in the week for easy breakfasts all week long. Add the quinoa to the pot and stir to combine. Cook, stirring constantly, about a minute, reducing the heat to low if the quinoa threatens to scorch in the hot pan. You just want to warm and toast the grains lightly. Remove the pan from heat and stir in the maple syrup. Transfer the mixture to a bowl. It’s delicious as is, although you’re welcome to add an extra sprinkle of cinnamon, maple syrup, or any of the additional serving ideas mentioned below. Recipe adapted from Cookie+Kate via YumUniverse by Heather Crosby. For a long time I had a thing for the honey Mini Wheats…such a good snack! I just ate this for breakfast and it was FABULOUS!!!! So happy to read your comment, Becca. Thanks for letting me know!